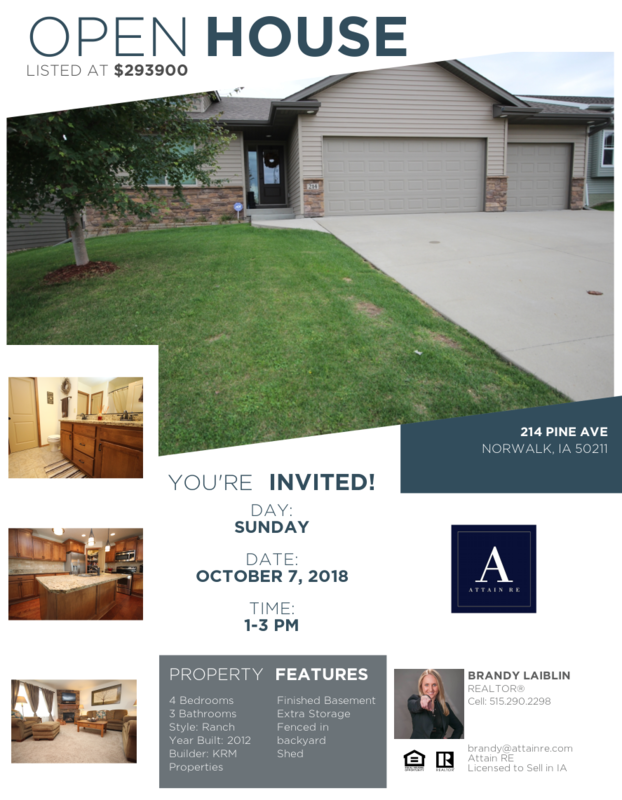 Join, Brandy Laiblin, Sunday, October 7th between 1-3 to take a tour this re-sale home in Norwalk in a good area. A must see home that will accommodate a family or growing family. The best thing is that you can move in without having to install a fence and finish the basement! !